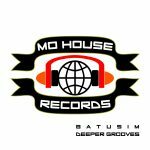 MoHouse delivers another club instalment, this time by Batusim. The Deeper Grooves EP includes two previously unreleased versions. 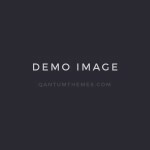 Batusim dives even more into deep Housemusic with a whoopy remake of ‘Go Deeper’ by Anthony Poteat feat Franz Johann, originally released earlier this year on B.A.B.A. Records, plus brings a superfunky iberican rework by Cohuna Beatz of Batusim’s deep clubslammer ‘Groove Steady’. MoHouse is happy to bring you two original grooves by NovaQue from Austria. Both tracks are previously unreleased and outstanding, funky vibes rule with a tribadelicious taste for all you real musiclovers out there. GROOVY HOLIDAYZ WISHES FROM BABAMUSIC!